The sterlet (Acipenser ruthenus) at Danube Delta Eco-Tourism Museum Center, aquarium in Tulcea, Danube Delta, Romania (captive). 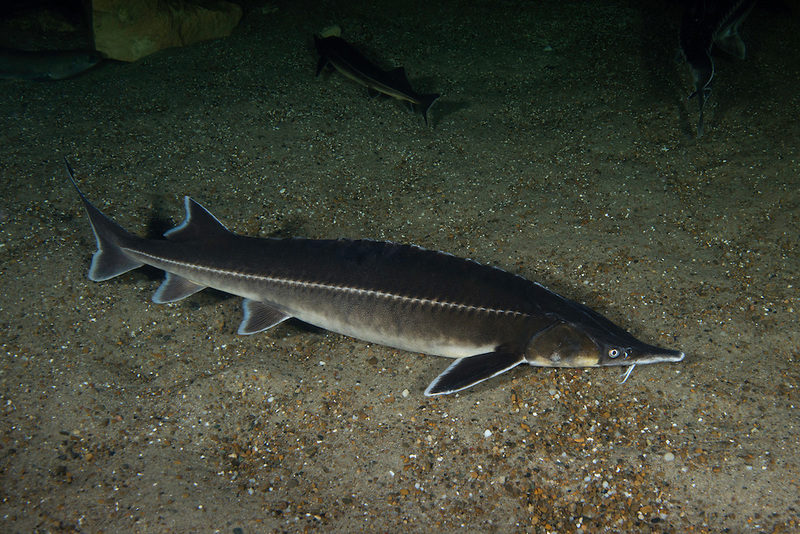 It is a small species of sturgeon native to large rivers that flow into the Black Sea, Azov Sea and Caspian Sea, as well as rivers in Siberia. Populations migrating between fresh- and saltwater (anadromous) suffering due to overfishing (for its flesh, caviar and isinglass), pollution and dams. The sterlet has declined throughout its native range and is considered vulnerable by the IUCN. There are ongoing re-stocking projects and it has been introduced to some regions outside its native range, but the latter have generally not become self-sustaining.